"Service over Sales, People over Profit." 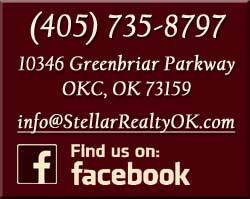 With more than 30 years of professional experience, Kim Llewelyn ventured into new territory when she became an Oklahoma licensed Realtor. From the start of her career, she made a defining decision. Though she wanted to be successful, she committed she would not compromise her standard of excellent service for the sake of big numbers. Within 6 years, Kim accomplished what most Realtors only dream of in their real estate career - she earned her Broker’s license and opened her first real estate office, Stellar Realty. She has continued to successfully grow her real estate business...one happy homeowner at a time! "Great experience! Can't be better..."
~ Career to Date: Closed OVER 1,000 Transactions! "Kim knew exactly what we were looking for and found it. The staff was amazing and always helpful and ready to answer questions and walk you through! Love the staff!"